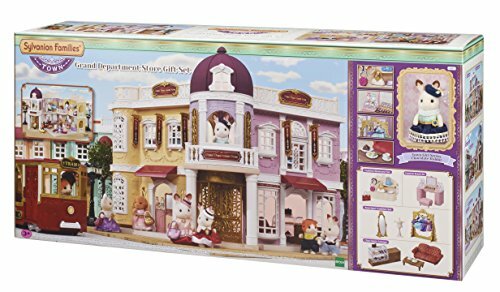 Step into the wonderful land of Sylvanian and its adorable inhabitants that work and play together. 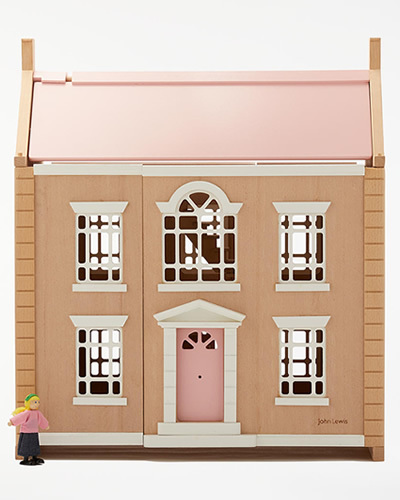 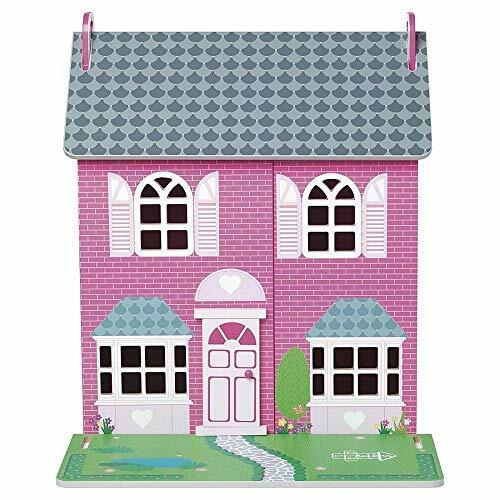 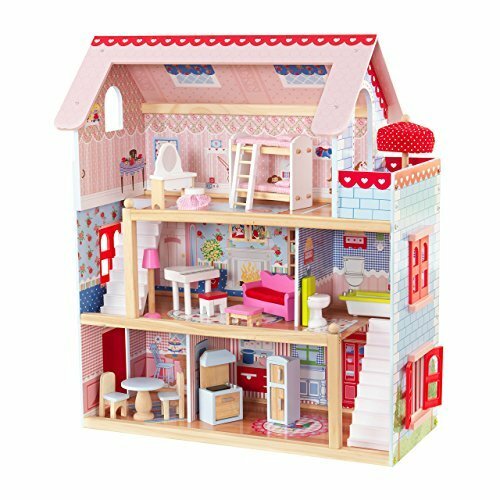 Here you’ll discover a delightful range of characters that live happily in their beautifully detailed homes. 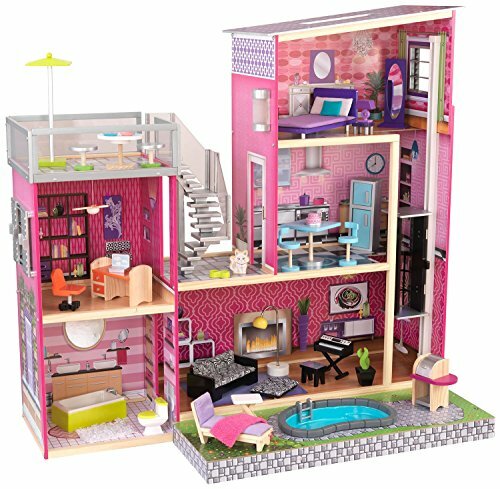 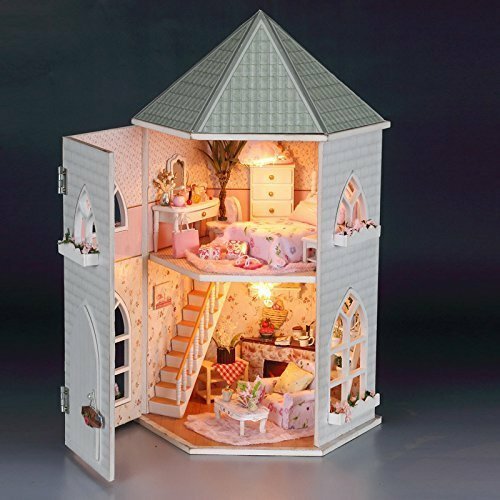 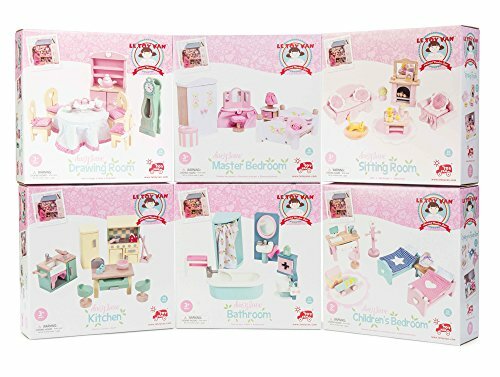 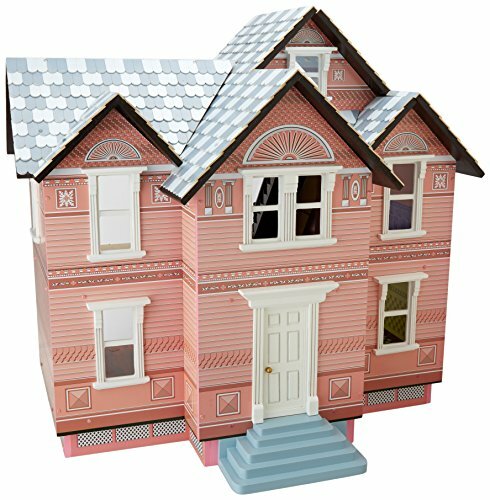 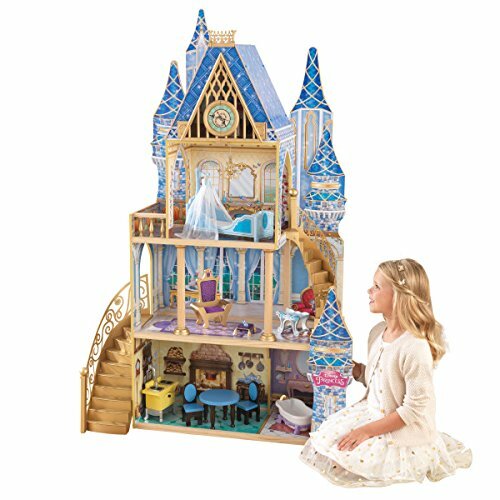 Young girls in particular will love the detailed furniture, accessories and extra figurines that will make their collection grow and grow. 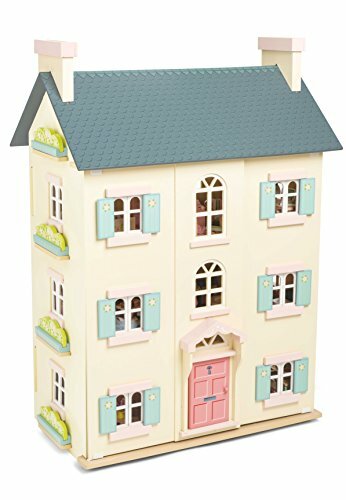 A must have toy for Sylvanian fans is the Regency Hotel. 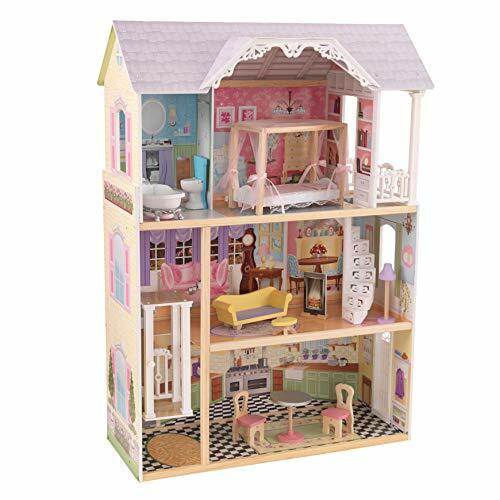 Older children can have hours of fun furnishing the rooms of their Sylvanian home. 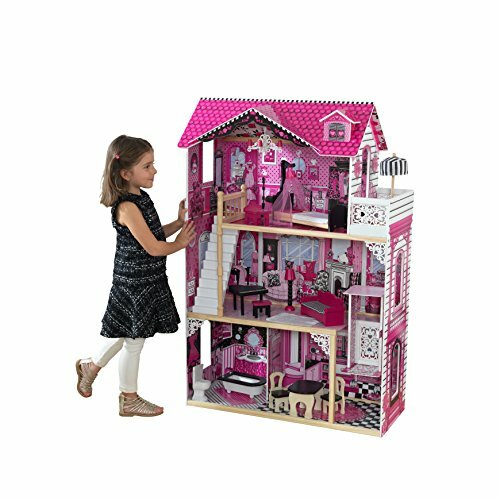 The attention to detail and fun pieces makes play time all the more special. 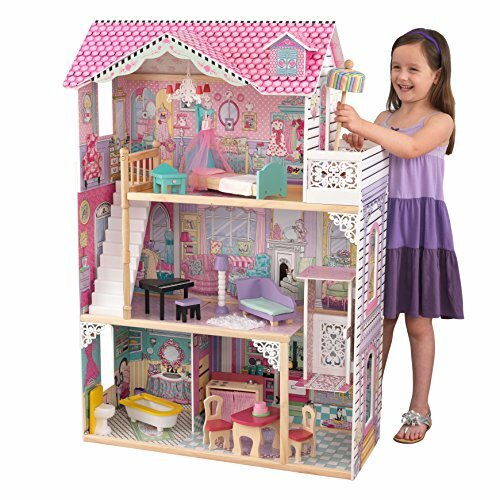 Large products like the Regency Hotel are ideal for two or three children to play with at the same time. 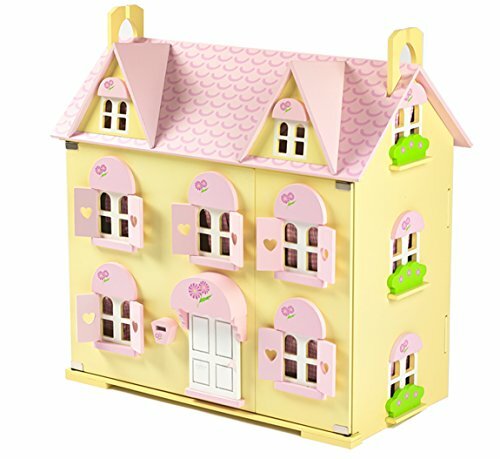 This magnificent building comes with 25 accessories including topiary plants, reception desk, luggage and luggage trolley. 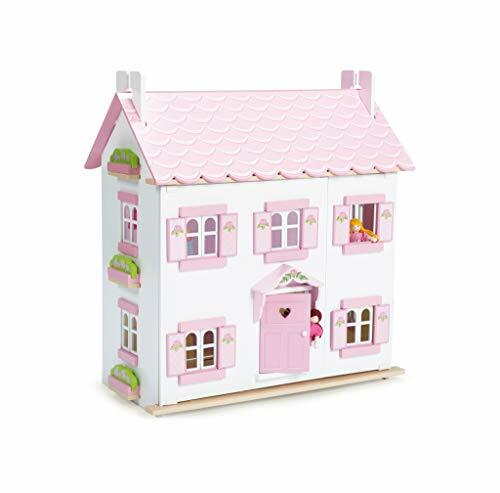 Everyone will have their favourite character from a long list of fabulous woodland creatures and animals. 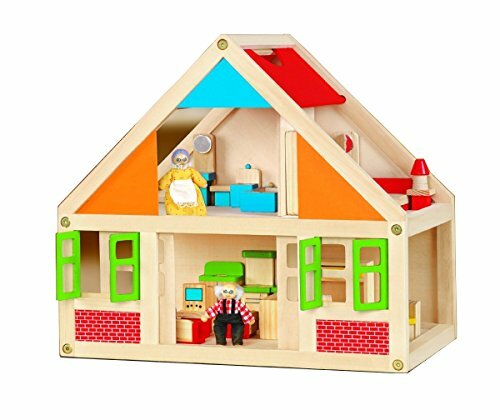 Families include beavers, hedgehogs, mice, rabbits, bears, cats, dogs, monkeys, Koalas, meerkats, cows, pigs and penguins. 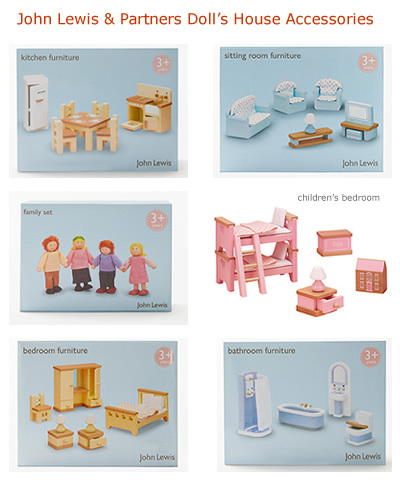 This is excellent for stimulating imaginative role play among children. 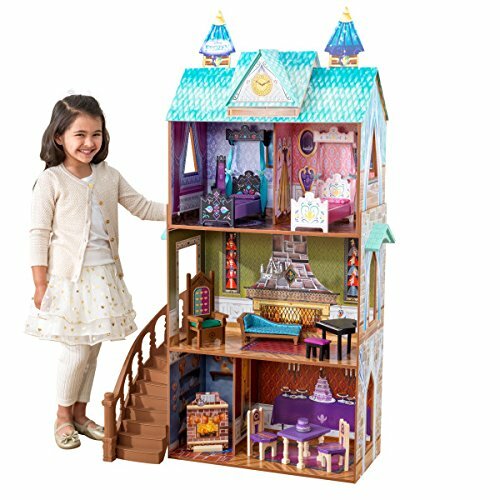 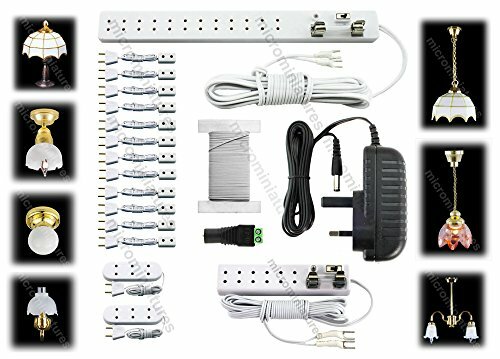 They can create magical adventures and exciting interactive play between the many characters. 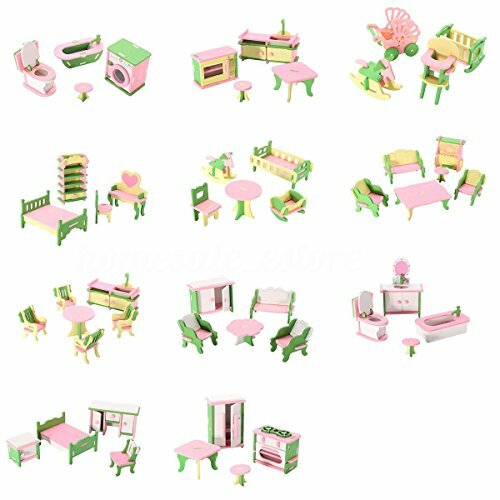 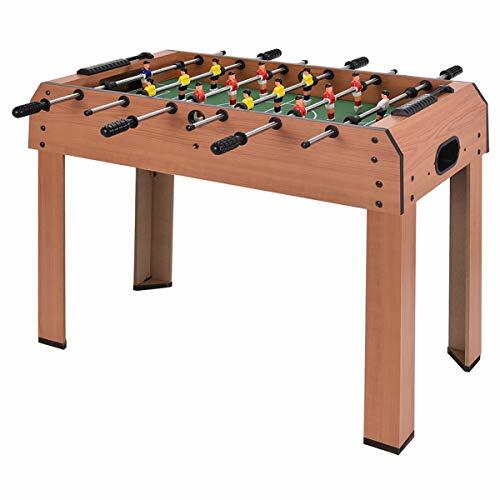 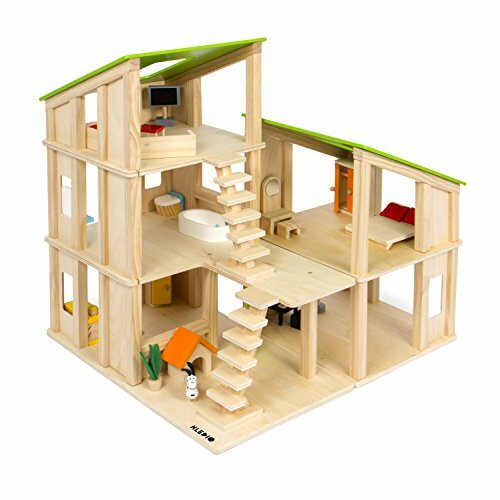 Many of the furniture pieces are tiny making this toy suitable only for children aged 4 years and over. 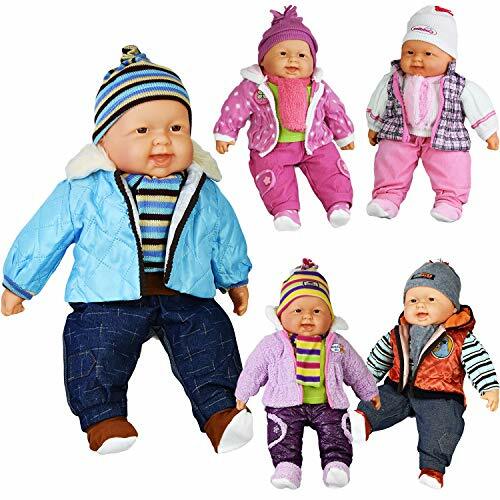 Dolls have been a traditional toy for children for generations and have never grown out of fashion. 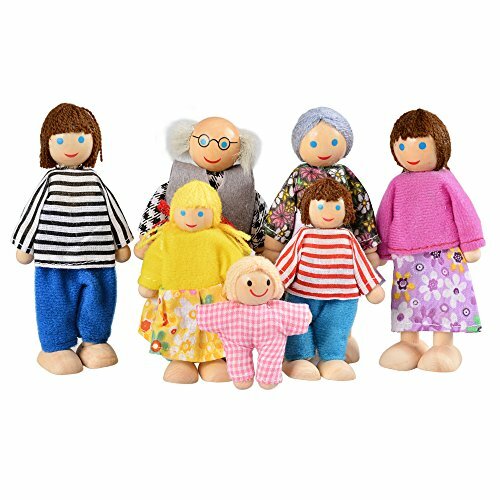 Today you’ll find variations of dolls made from an array of materials ranging from wood, porcelain, china, plastic etc which are fashioned on different themes and characters children love. 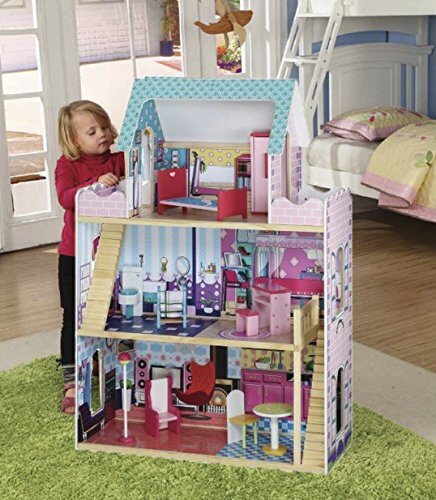 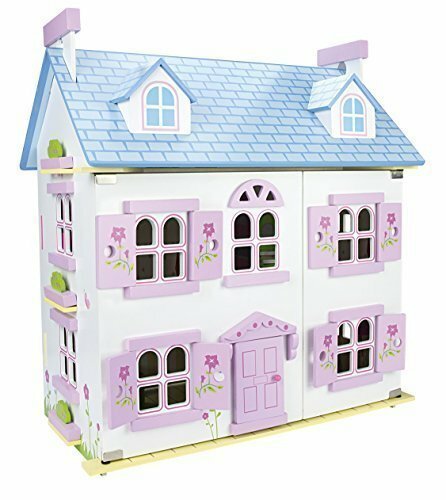 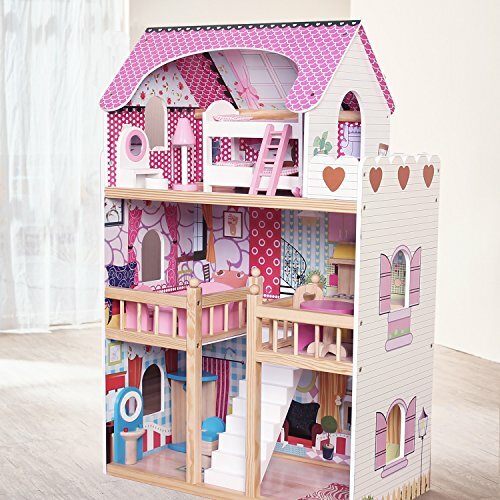 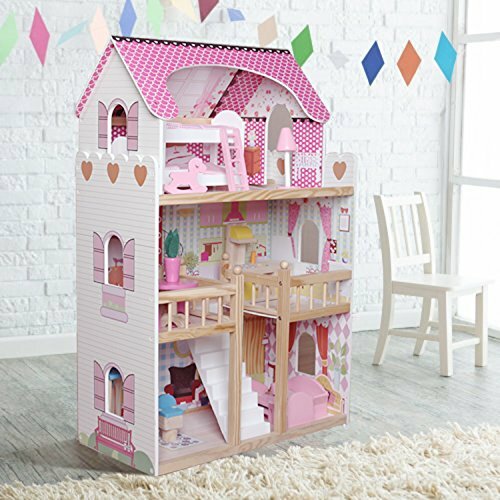 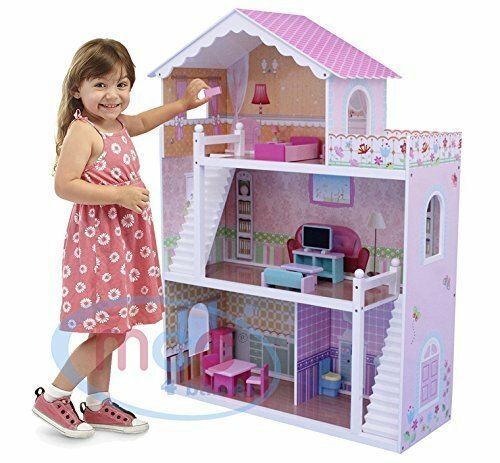 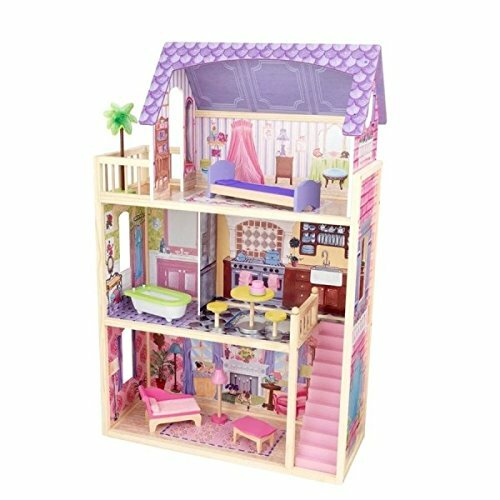 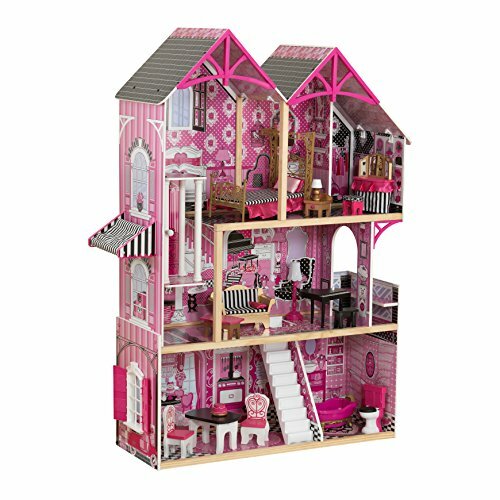 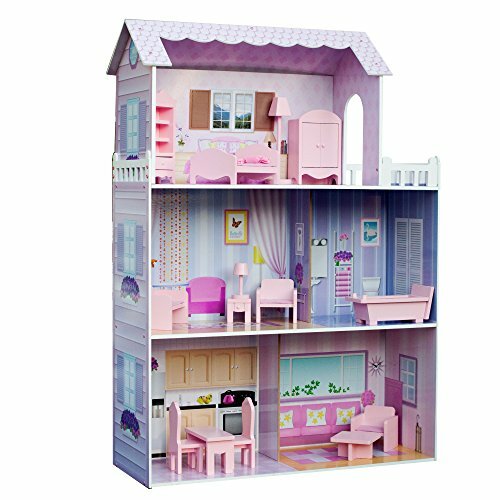 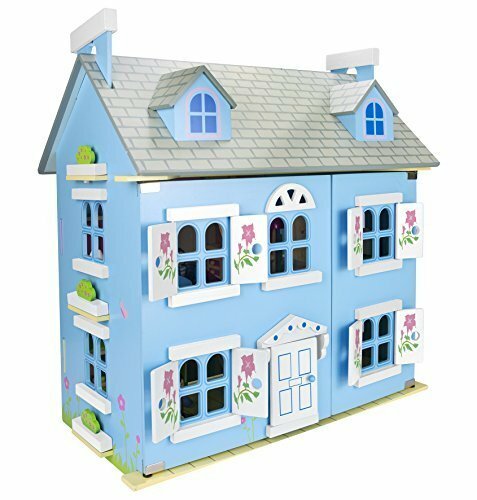 New Born Sleeping Soft Bodied Baby Doll with 2 Outfits & Gift Box Toy 18"
Wooden 3 Storey Dolls House - Pink. 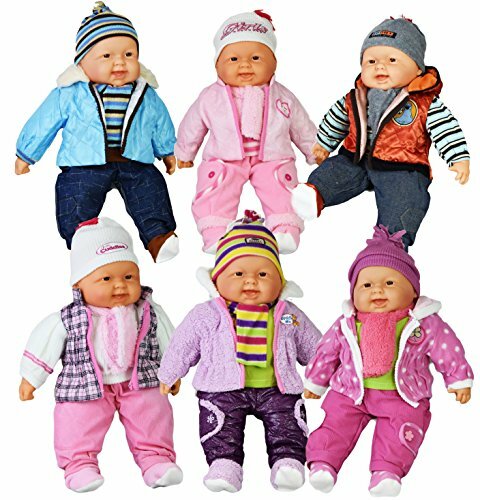 Top Toy Guide finds the latest and most popular fashion dolls, baby dolls, talking dolls and soft dolls suitable for all ages of a growing child. 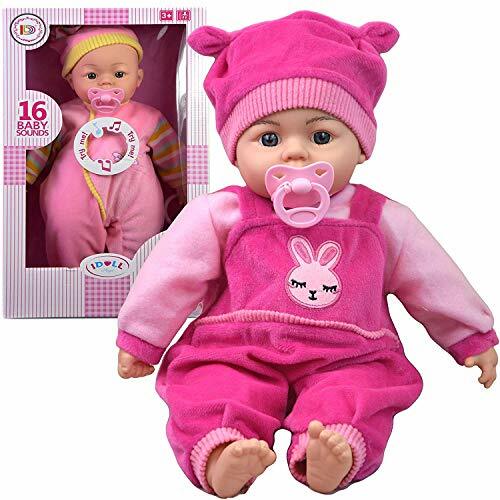 Little girls love copying mum and now they can their own baby doll to nurture and love. 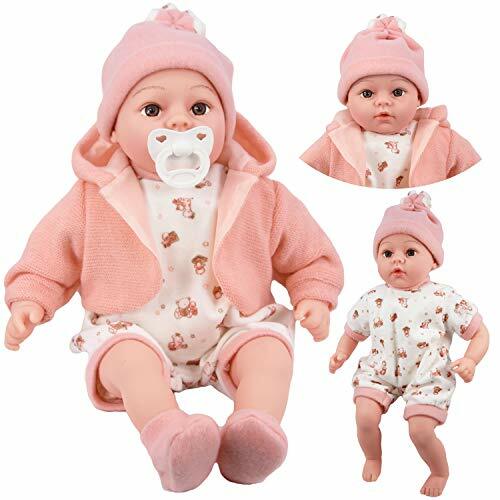 Popular baby dolls like “Baby Alive” and “Baby Annabell” have a range of clothes and all sorts of accessories to extend the level of pretend play further and keep them busy just like mum. 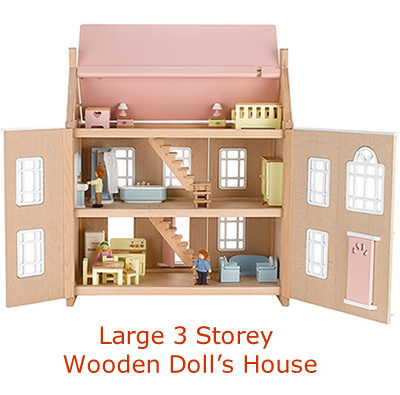 Playing with dolls allows a child’s imagination to grow and encourages them to enjoy nurturing role-play. 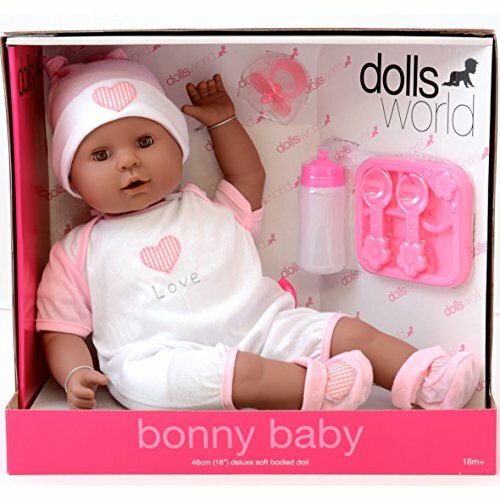 Just like real babies, newly released dolls can cry tears, drink from a bottle, make realistic sounds, eat and even poop! 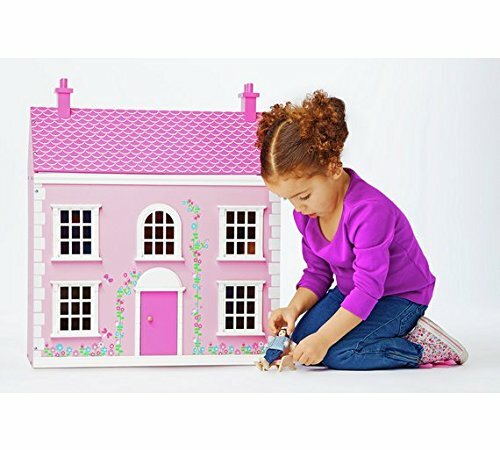 The versatility of these new style interactive dolls and enjoying role-play situations with friends helps build a child’s social skills. 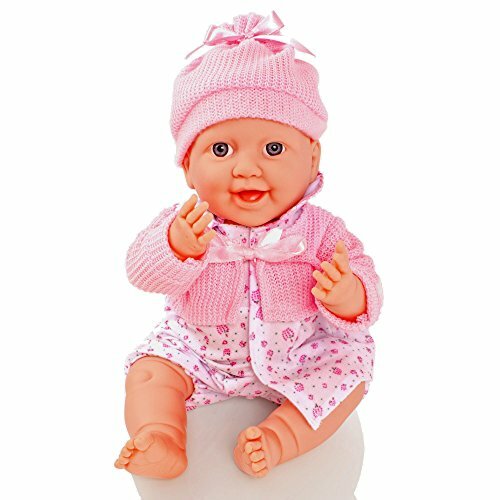 Little girls can look forward to re-creating new experiences with the many types of small and large dolls available with accessories such as baby walkers, strollers, prams, Moses basket and outfits. 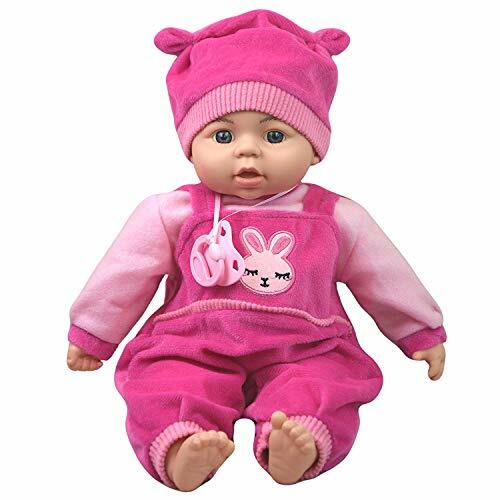 Other baby dolls include Baby born, Chou Chou, Tiny Tears and Mini Kiss. 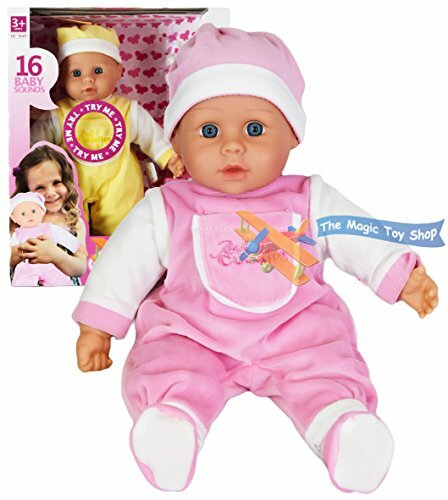 These baby dolls and accessories are suitable for ages 3 years upwards. 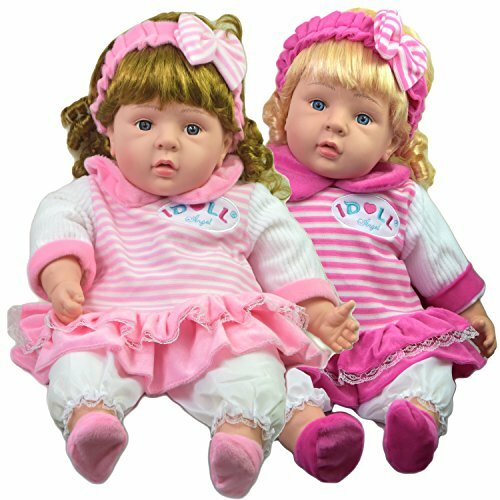 Large life sized toddler dolls like “Sally” has beautiful blond hair and comes with hair slide and comb and “Jolina” is a ballerina doll that is fully bendable and includes a ballet book with music CD. 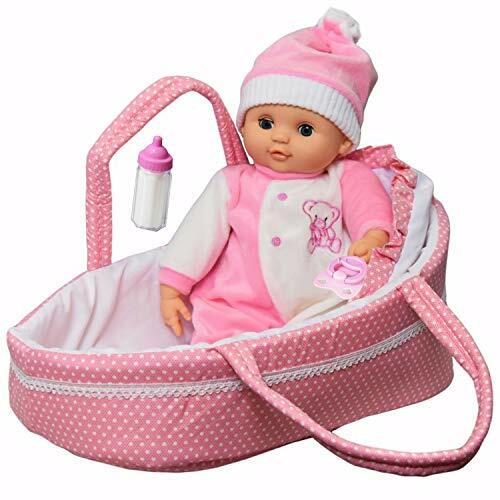 When it comes to taking their baby doll out for a stroll Mamas & Papas junior collection include true replica nursery prams. 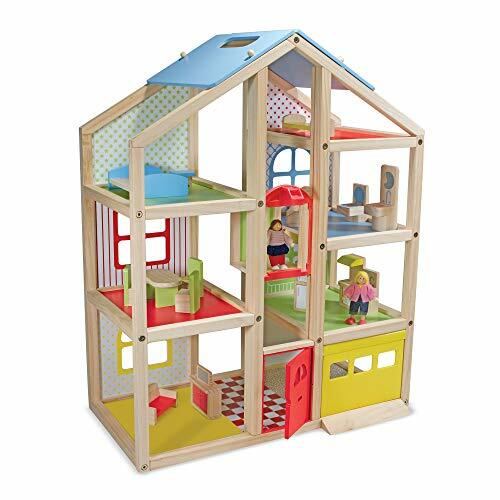 These prams are suitable for 4- 7 year olds, 4- 8 years and 5-10 year olds. 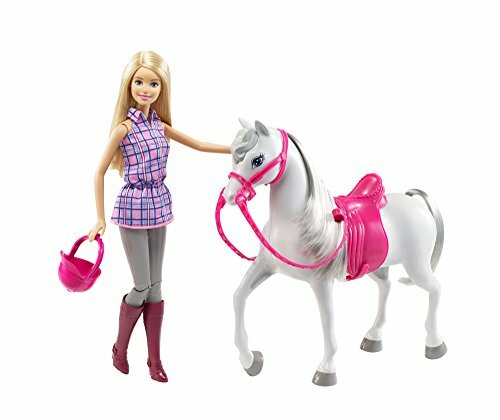 These fully adjustable pushchairs look like the real thing and have swivel front wheels for easy steering and under seat basket for shopping. 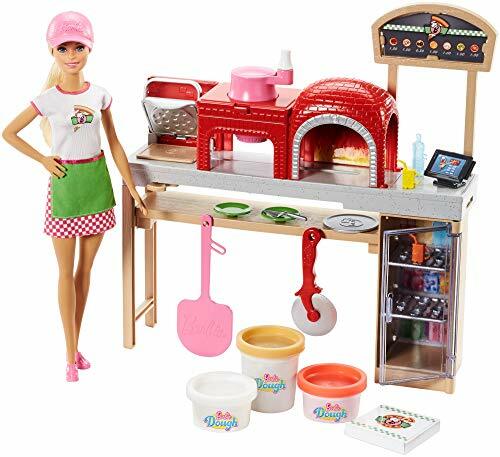 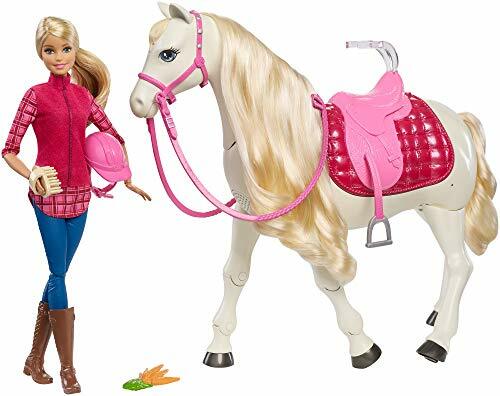 Today Barbie still remains an important part in the fashion doll industry and has expanded the range to include: outdoor Barbie toys such as the Barbie Beauty Secret Trike with Vanity case for ages 2 years and over, Barbie Three Musketeers Junior Laptop for 3 year olds upwards, in addition to Barbie B-Inspired Hand Held learning device and Barbie B-Smart for pre-school learning fun for ages 5 and over. 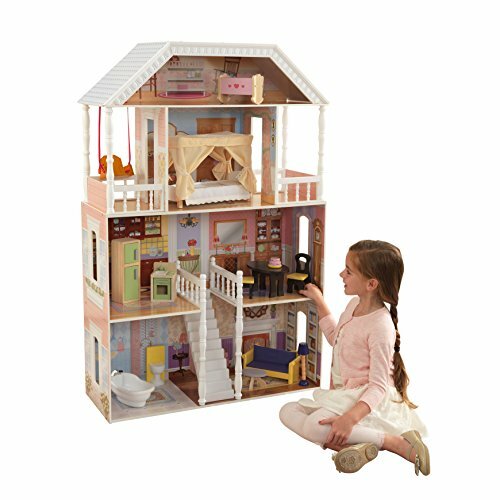 Dolls and Dolls Houses make a great centre point for children to share experiences and learn to interact well with other children. 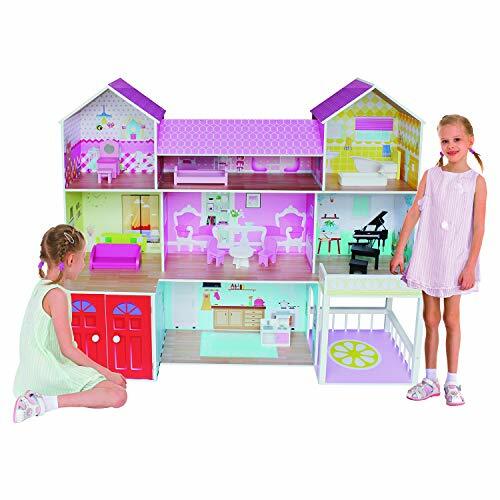 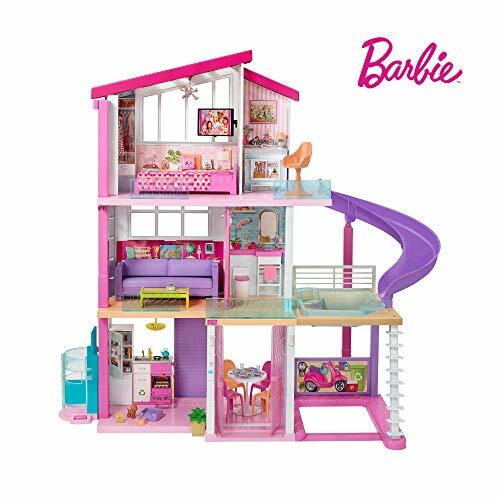 They can bring a whole new world to life with the many different pieces of furniture, figures and dolls plus vehicles, stables, ponies etc for hours of endless play. 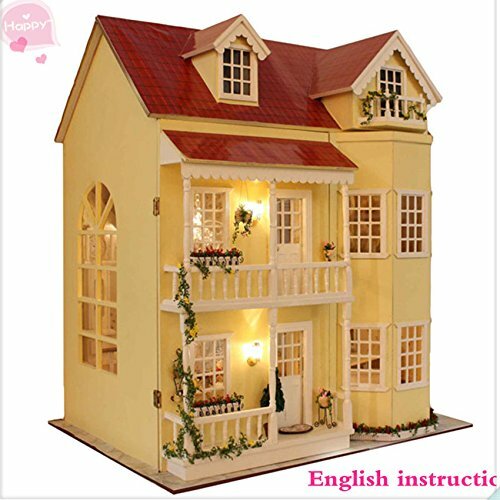 There are modest sized house to mansions where children can act out being grown-ups and let their imagination run free.